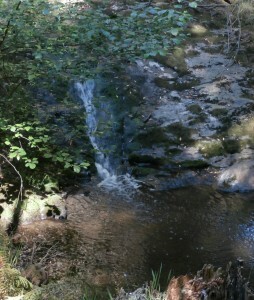 In the late afternoon, a shady hike in Tilden led to this sheltered pool replete with waterfall. Home to Rainbow Trout and the completely adorable California Newt. Just 15 minutes from downtown Berkeley and we are transported to another world. Banished are the computer, the to-do list. Be smarter than your phone and leave it at home. Breathe cleansed air and negative ions. Inhale the pungent scent of eucalyptus.